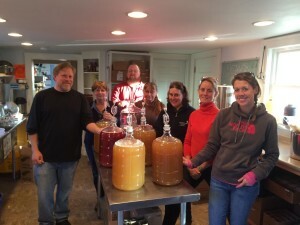 This is just a short log to acknowledge the bottling session I did today. I got 20 bottles of Mad Trad D2, and 10 bottles of Fox Pyment Double Mead from last fall. I unfortunately don’t have pictures because my digital camera is complaining and not working well. 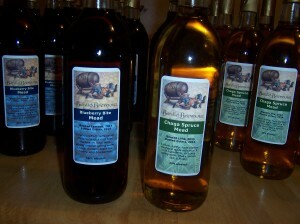 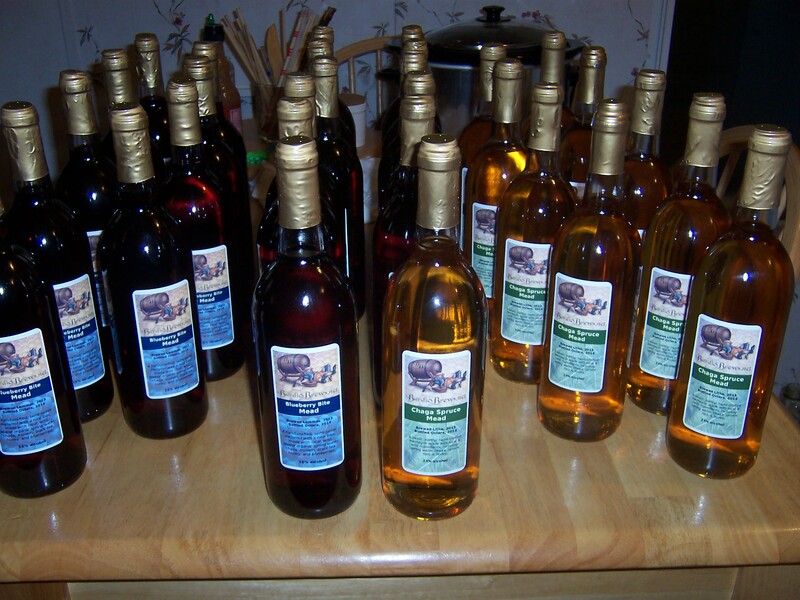 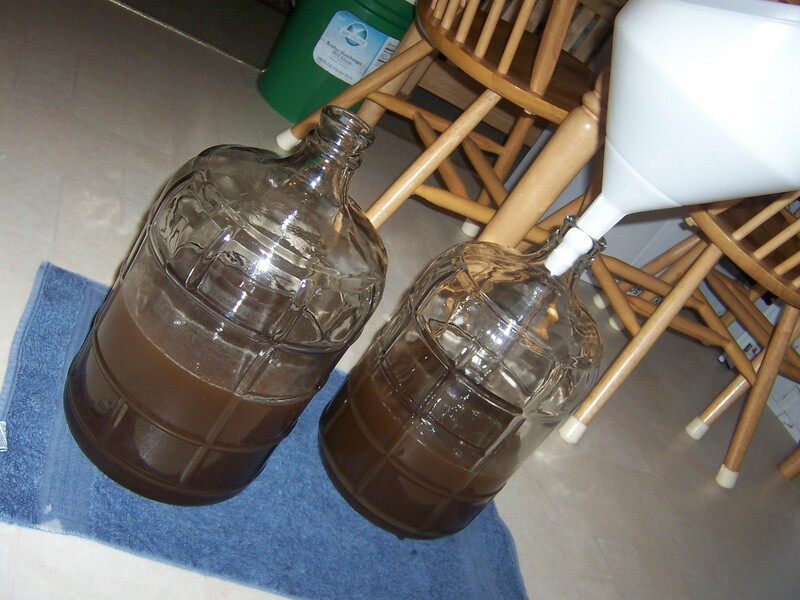 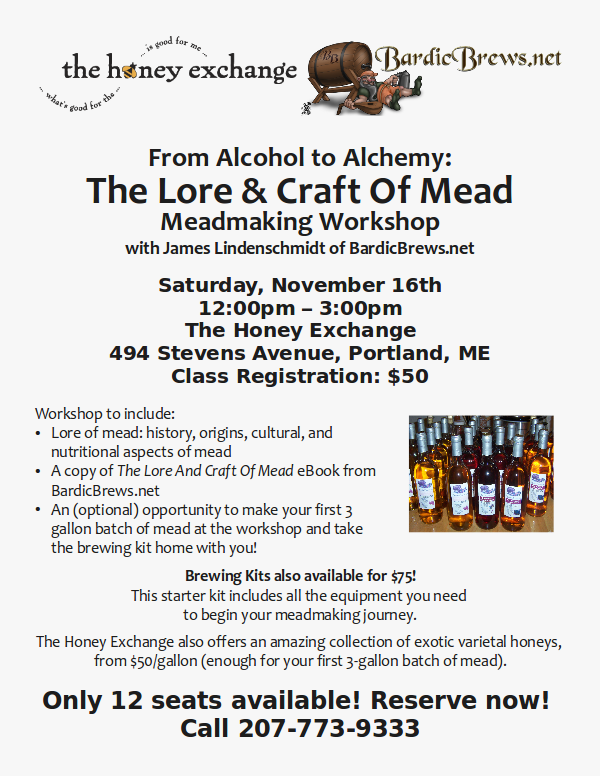 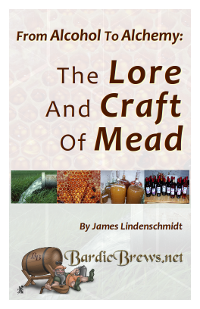 I really love the Traditional Mead formula I’ve worked up, it produces what might by my favorite mead of all. So simple, so satisfying; it has a purity to it that is very appealing to me. 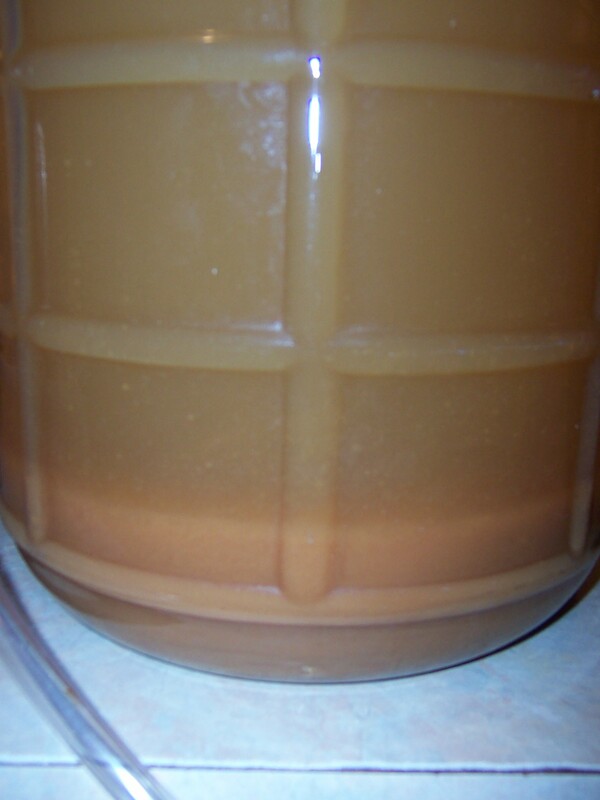 The Fox Pyment this batch didn’t get as clear as my other batches do, despite the fact that it is nearly a year old and has been clearing since March. 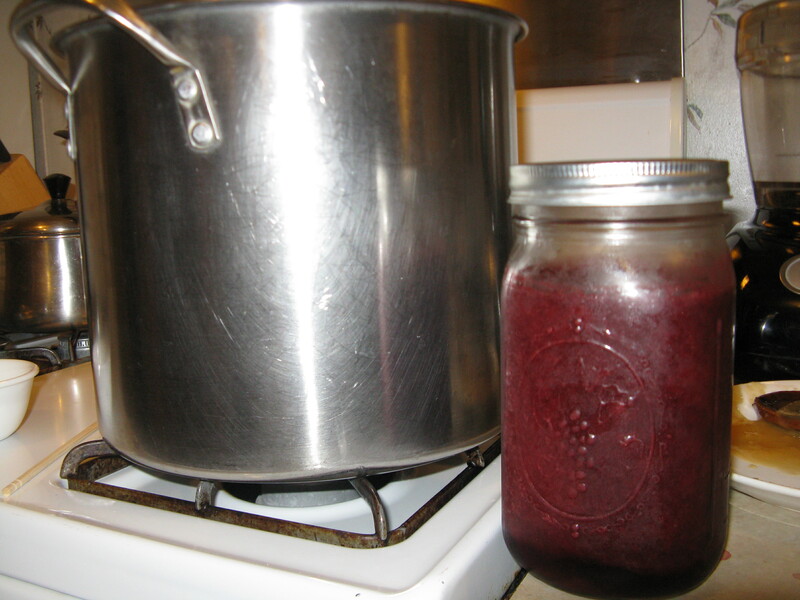 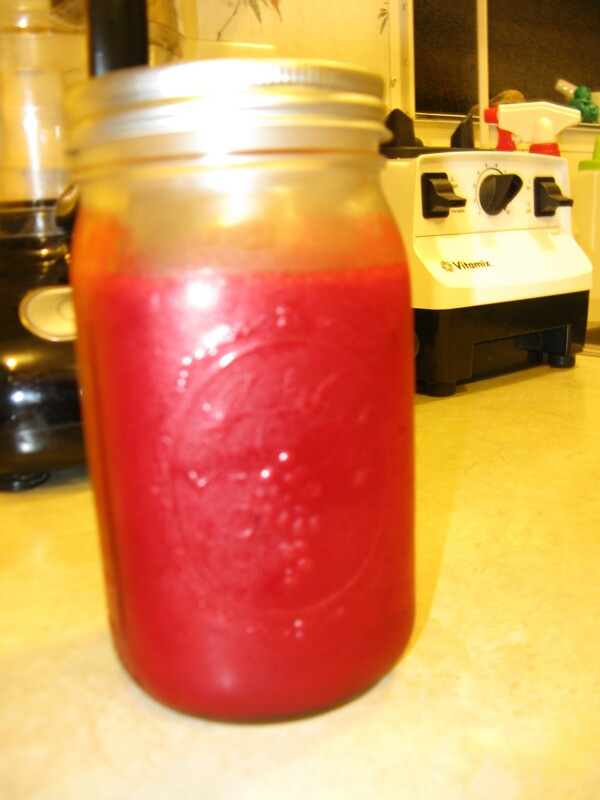 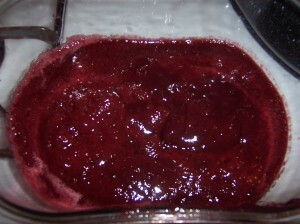 I believe it is probably a pectin haze from the wild fox grapes. One technique that I tried in this bottling session, for the first time. 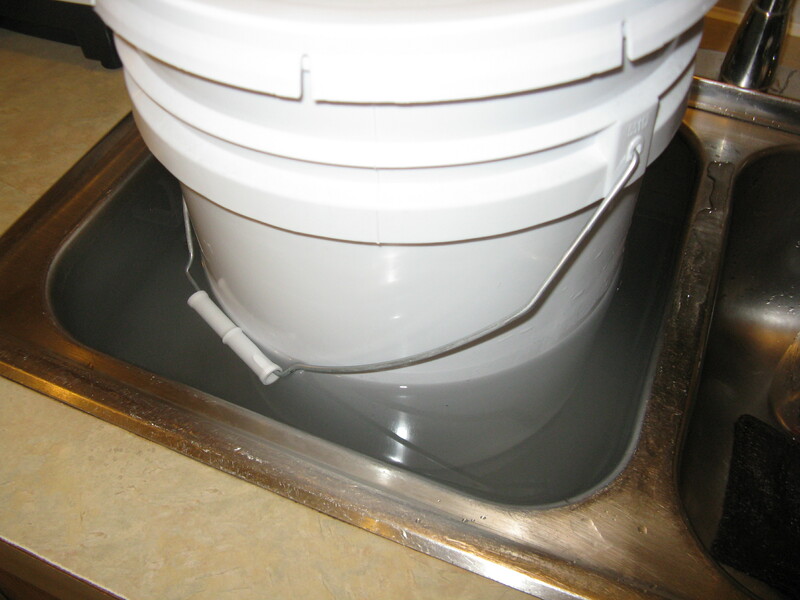 With the Mad Trad D2, I had 4 jugs clearing, 2 jugs each from 2 different batches, done at the same time, that came out slightly differently. 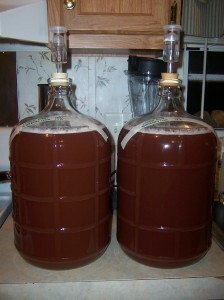 This time I filled each bottle halfway from one of the batches, then filled each bottle completely with the other batch, effectively combining the 2 batches into one mead. 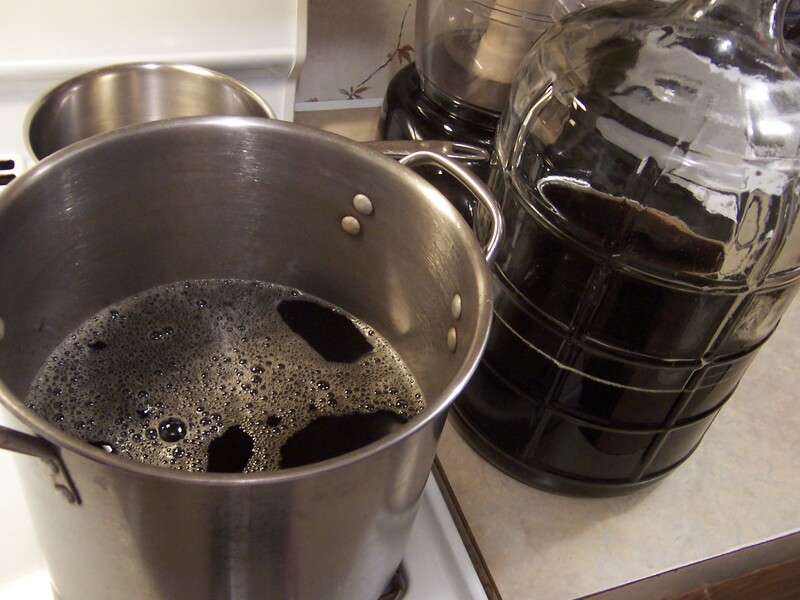 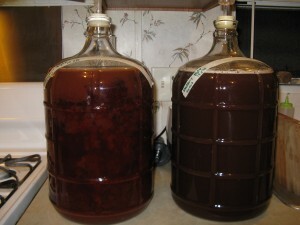 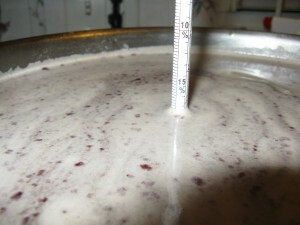 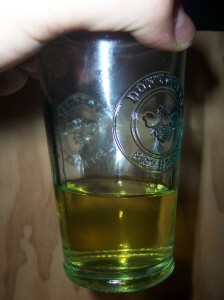 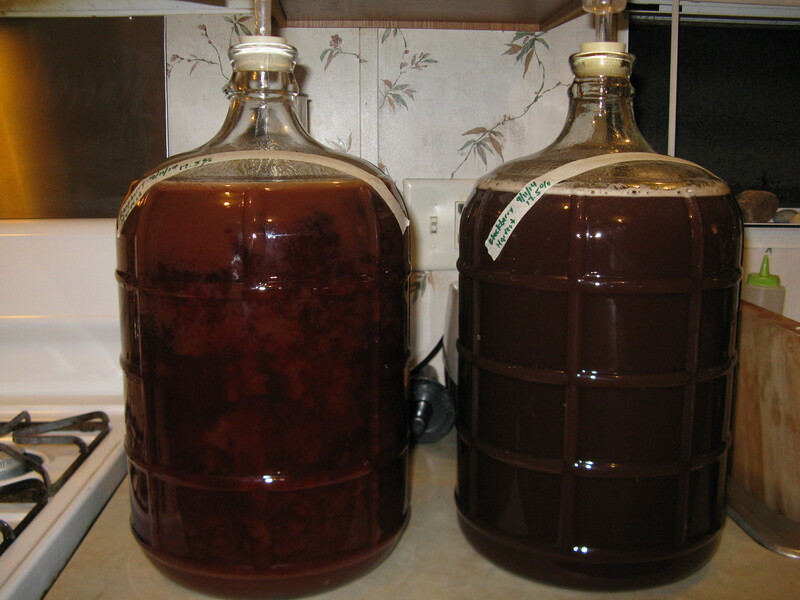 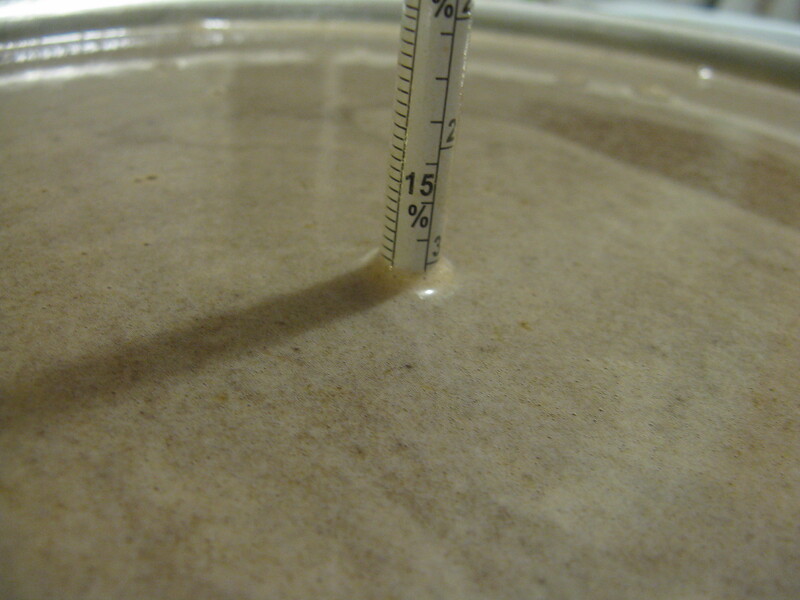 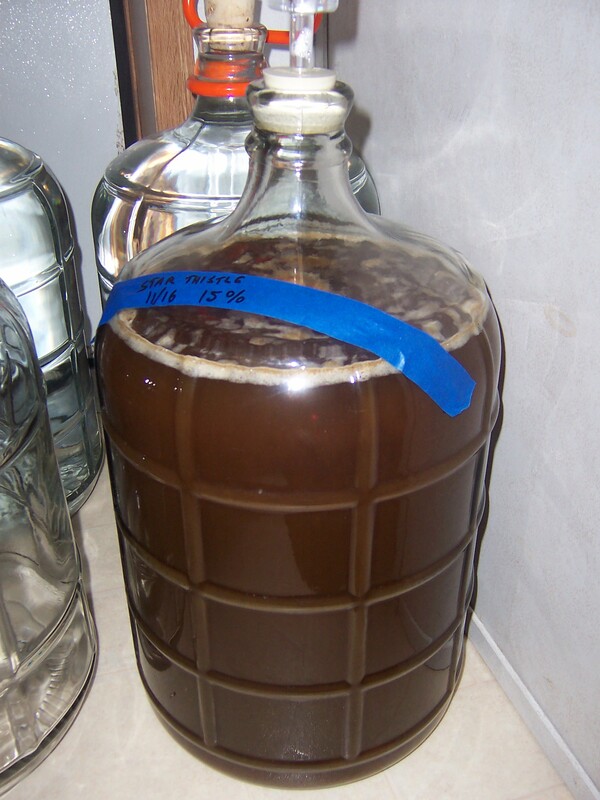 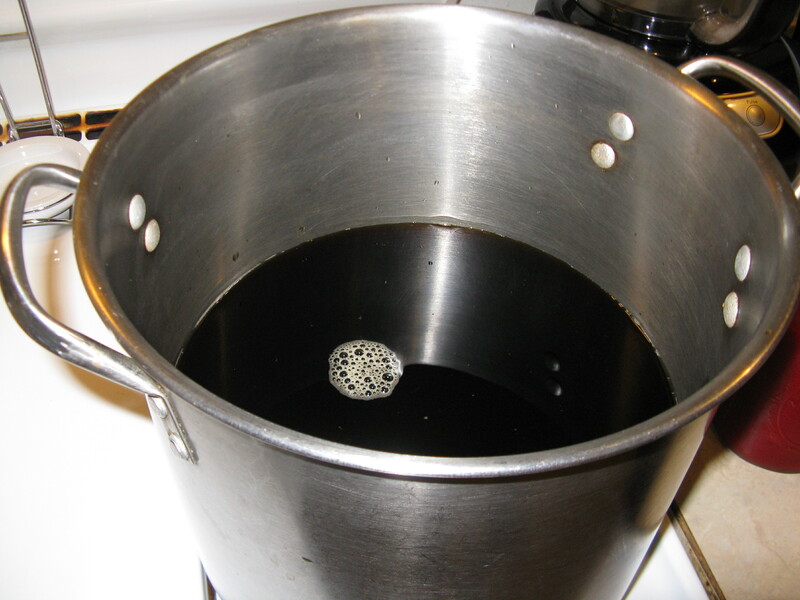 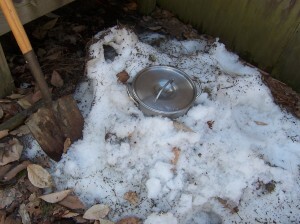 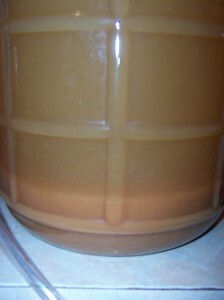 This technique is common in commercial meaderies used to dealing with larger batches; it has the benefit of averaging out all the flavors — including any off-flavors — thereby making a more consistent product. All in all, yet another bountiful harvest! 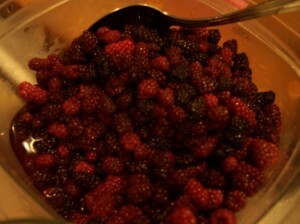 Gratitude!